You have taken the big step and engagement rings and look in your hands, the link is strengthened. Now it's time to celebrate your special beings surrounded by and enjoy a unique day in the history of your lives. So the countdown begins that wonderful process, aligned more or less nerves, called organization , where the first step is certainly set the big date. The most important of all, the economic question. In low season games recruitment, which they are numerous, They are certainly more bearable. Salons, orchestras, djs, catering, vehicles, animators, monitors and even costumes, They are more profitable during those months. It can save a good peak, they may even be more so if you decide on a Friday or Sunday, instead of the typical wedding Saturday. Besides the economic issues there are many other advantages. From the point of view of the guests celebrate the link outside the summer season means that virtually attend all, since the handicap of lack of attendance was absent on vacation it is almost nil. And what about the aesthetics? 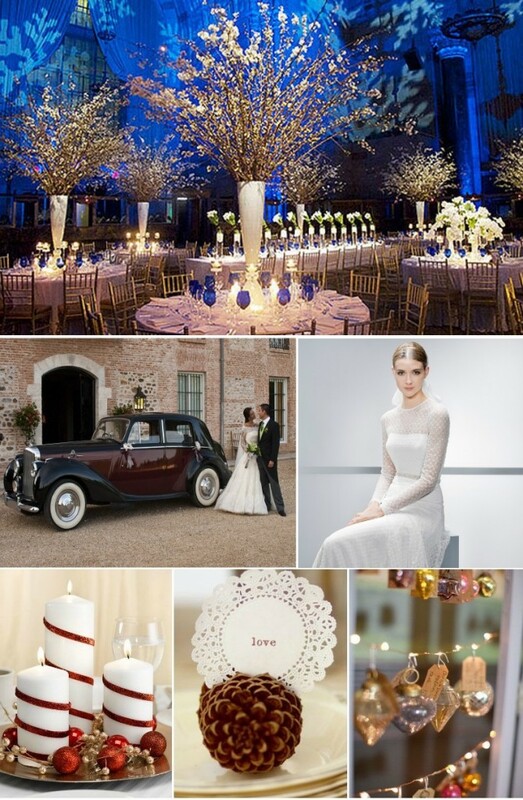 Winter weddings have a more sophisticated touch, warmer and of course more glamorous. From choosing large luxury cars for your arrival at the ceremony or banquet, escorted by chauffeurs coats, to decorate with bonfires, curtains bulbs, seasonal plants or flowers. 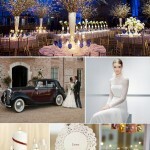 The costumes at that time can also turn the celebration into an elegant meeting, not only for women suits season where everything fits almost, but you can also give play to menswear providing different types of labels, from a tuxedo to a frac, or even a spencer (all can be rented),and why not? Who says that sober dress combined with some color can not give a more fun character to the event?, let's give the imagination. Ah! And what you tell me of a winter wedding dress? Everything takes on another dimension, until light Photo. Finally we can also enjoy a unique gastronomy, the menu can be protagonist. For such a special day may have details that become part of the banquet decoration, where red and passion accompanied at all times. The sparkling wines may be pink or red course, will be a success. Seasonal strawberries, meats, embers, grills and even a good salad to accompany with tomatoes and raspberry vinaigrette. We can end with a big barbecue or even better with some churros with hot chocolate ... all these elements can turn your day into a celebration with character surrounded by the warmth of your family and friends. From our catering Soul Essence Events , we have a team of creative and decorators together with an experienced gastronomic cast, with sufficient infrastructure to carry out your dreams and turn your celebration into an authentic party, different and with guaranteed success. Put yourself in the hands of professionals, do not hesitate.